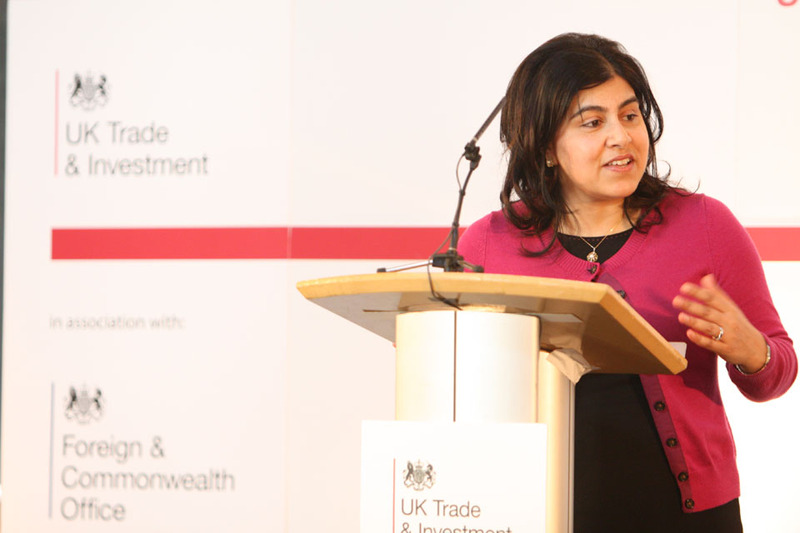 On Friday, Baroness Warsi travelled to Liverpool to support Conservative mayoral candidate Tony Caldeira. Sayeeda was joined by MPs Graham Evans and Esther McVey, and MEP Jacqueline Foster, for a dinner held by the City of Liverpool Conservatives. 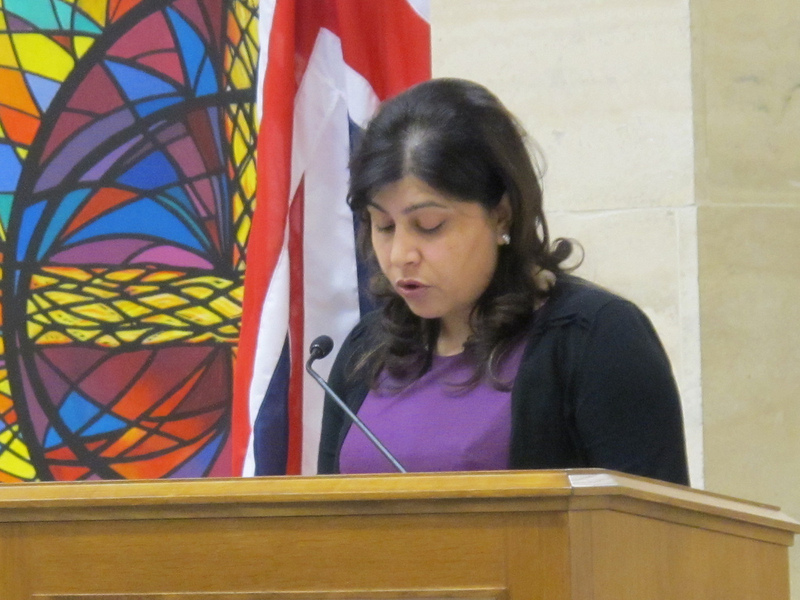 Addressing the dinner, Baroness Warsi said that she was delighted with the fighting spirit of the Conservatives on Merseyside, and wished Tony the best of luck with his campaign. Sayeeda was presented with a Superlambanana in Tory blue to commemorate her visit. 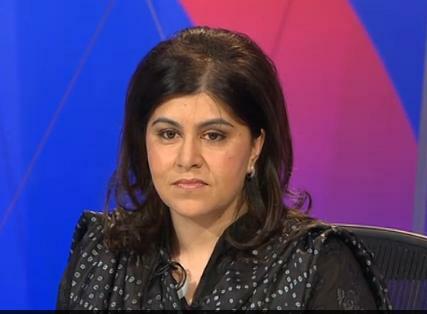 This evening, Baroness Warsi joined the Question Time debate from Leeds, joined by Yvette Cooper MP, Tim Farron MP, George Galloway MP and journalist David Aaronovitch. Catch up with the show here. 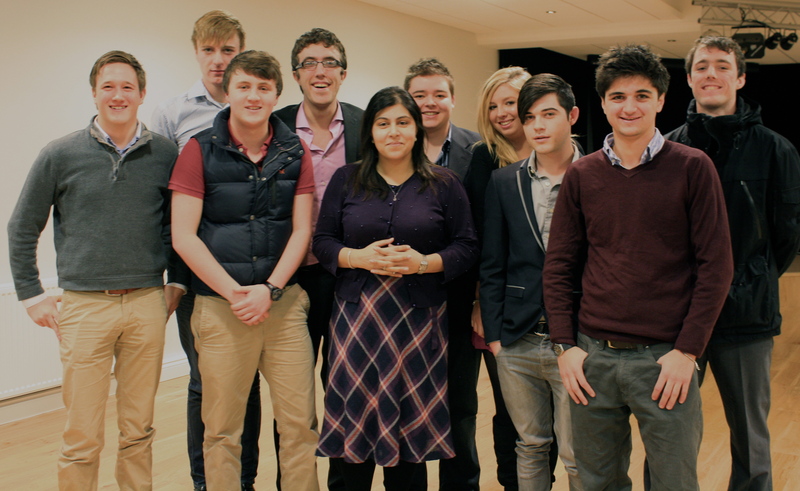 Sayeeda this week visited Wales to support Conservatives there ahead of the local elections. Beginning the day in Newport, Sayeeda joined Andrew Davies AM, Cheryl Gillan MP & Cllr Bob Greenland (WCCA Chairman) at the Newport Dragons stadium for the launch of the Welsh local election manifesto. She then travelled to Monmouth Shire Hall for a demonstration of the Monmouthpedia Project – a collaborative initiative with Wikipedia developing ground breaking local tourism. She was met by Council Leader Cllr Peter Fox, David Davies MP, Deputy Leader & Cabinet Member for Enterprise Cllr Bob Greenland and Conservative candidates. Sayeeda next stopped at Welsh Women’s Aid, a centre for women in Cardiff. Met by Children & Young Persons Manager Rebecca Burns, Sayeeda made a tour of the facility and discussed the important work of the centre. After a drop in with the local media Sayeeda moved on to Barry, where Hot Diggidy Dog owner Simon Llewellyn greeted her with a range of extra hot sauces to try. The business has grown from its site on a council-run enterprise park and has great plans for its new products. Sayeeda rounded off the day with a Fundraiser for South Wales Central at Fynon Wen, Cardiff before journeying north for her next day of visits. 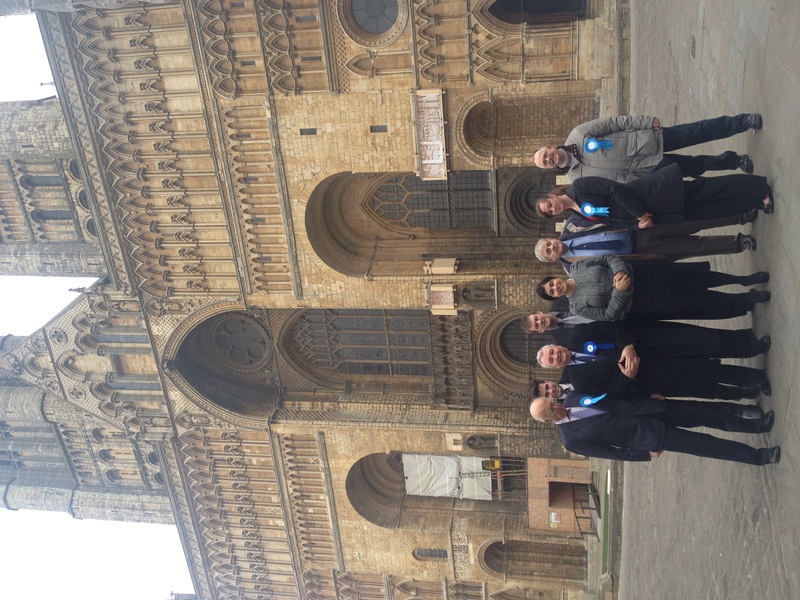 Today, Sayeeda continued her Chairman’s campaign tour of the country with a visit to Lincoln. Met by Lincoln Conservatives, the Chairman discussed local campaign issues before moving on to meet with Conservative Students and Lincolnshire Conservative Future. In the evening the Chairman addressed the Beverley & Holderness Conservative Association at a dinner in the constituency of Graham Stuart MP. Early on Monday morning, Sayeeda arrived in Bradford West to kick off the by-election campaign with Conservative candidate Jackie Whiteley. Sayeeda said that the Conservatives in Bradford would fight a positive, clear and transparent campaign, and encouraged the other parties to follow suit. She also praised local candidate Jackie for her hard work in the region.Sayeeda said: “We are going to come out and fight for every single vote but we understand its going to be a tough election. Jackie is an outstanding local candidate who has a reputation for working hard for the people of Yorkshire and I know she will fight for their best interests. 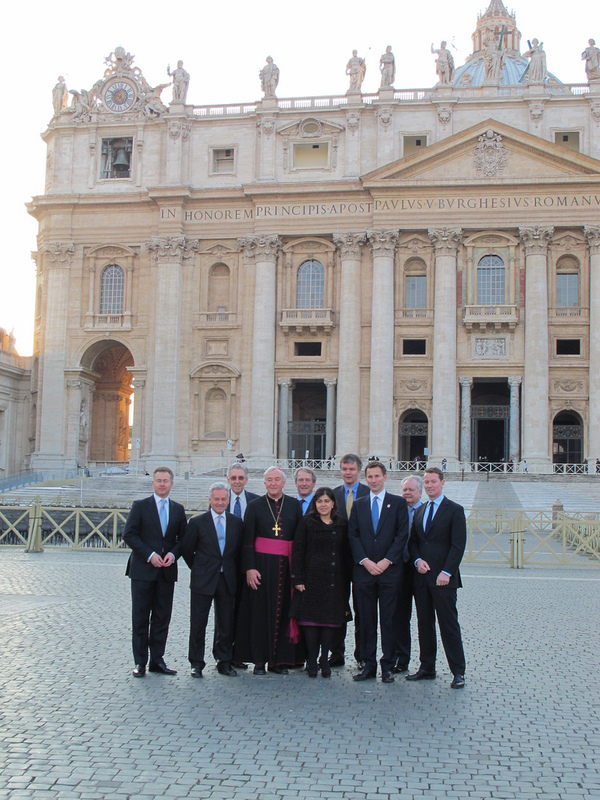 The Delegation of Ministers from the Government of the United Kingdom pictured in St Peter’s Square, marking the official start of a two day visit to the Holy See. 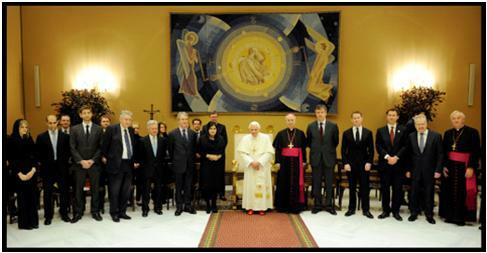 The Most Rev Vincent Nichols, Archbishop of Westminster, accompanied the Delegation. 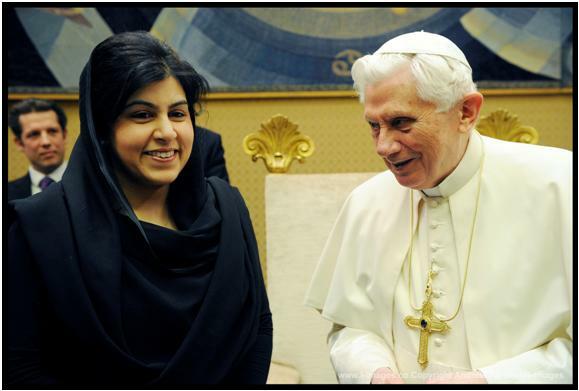 Baroness Warsi pictured during her speech, delivered to the Holy See on the subject of the place of religion in modern political discourse. 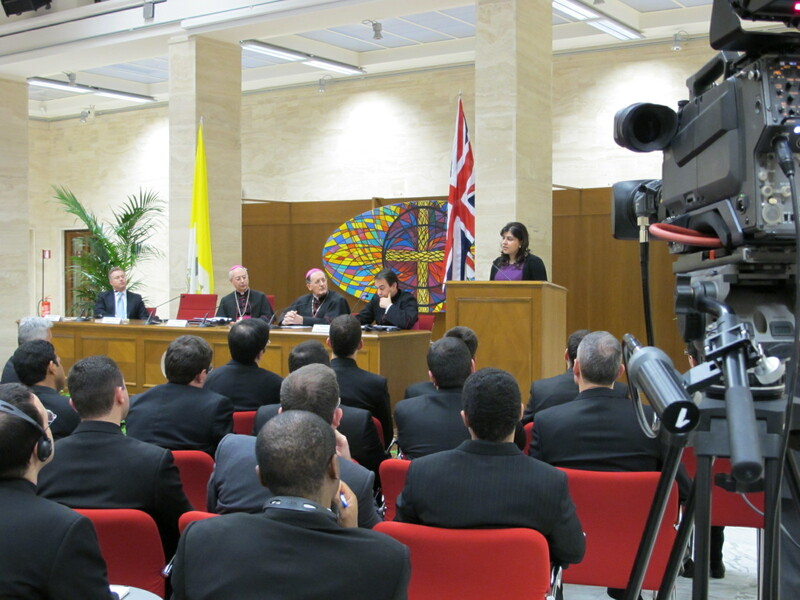 Baroness Warsi’s address to students and diplomats of the Pontifical Ecclesiastical Academy was the first element of the UK Ministerial Delegation’s visit to the Holy See. A warm welcome awaited Sayeeda in Richmond as she continued her Chairman’s tour on Thursday. 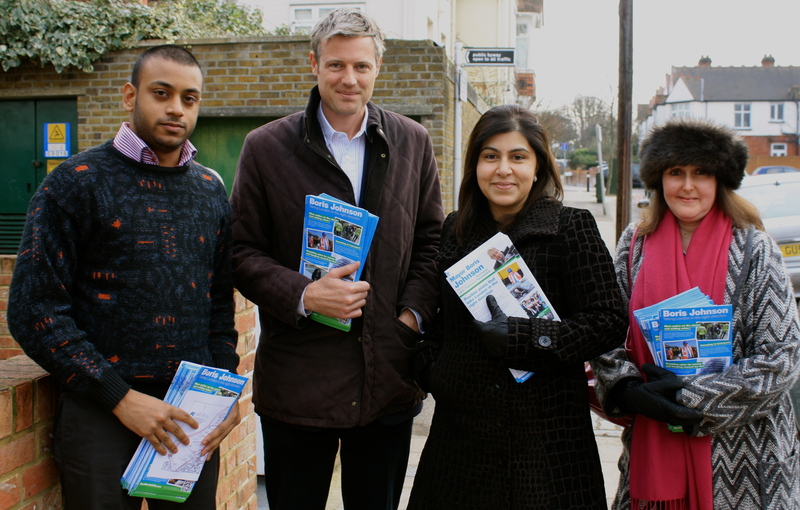 Activists in Richmond gathered to greet her at her first stop – a Q&A for members with Zac Goldsmith MP. Sayeeda addressed concerns from local issues to Syria. After a morning of canvassing, Sayeeda continued to Twickenham to meet local press. In an interview with the Surrey Comet she lent her support to Boris Johnson before this summer’s elections for London Mayor and urged Lib Dem voters opposed to Ken Livingstone to vote Tory in May. “It’s not my job to go easy on the Lib Dems. It’s my job to go out and fight every seat,” she said. Later she was welcomed by activists in Hayes, including a group of Brunel students who asked questions on cabinet relations.